has been an attorney since 1975. 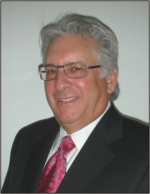 Steven B. Haffner has been representing large and small businesses, as well as individuals, in Michigan, New York, and throughout the United States for more than thirty years, in both business transactions and commercial litigation. We have represented a broad range of businesses, including franchisors, golf course developers and operators, real estate developers, builders, landlords, restaurants, health care providers, and automotive suppliers in a wide variety of matters. Mr. Haffner's skill, experience, and integrity have earned him the AV Martindale-Hubbell Peer Review Rating, the highest available for legal ability and ethical standards.